Patients who fail to show for doctor’s appointments cost practices money and waste time that could be spent on others. Finding a solution can be tricky, which is why an algorithm using patient behavior and characteristics, the subject of a study in The American Journal of Managed Care, can work for everyone. A scheduling algorithm that accounted for patient behavior and characteristics maximized physicians' availability in a study published by The American Journal of Managed Care. Even in a setting where overbooking routinely occurs, physician utilization can be increased, schedules can be smoothed to improve flow, and the negative impact of no-shows can be reduced without overburdening physicians. The problem of “no-show” patients costs healthcare plenty: practices lose up to 14% a year in revenue, and doctors waste precious minutes that might have been spent with others. So what’s the answer? Practices have used reminders and overbooking, although the latter method has not always been scientific. Some practices double-book morning appointments only and catch up in the afternoons; others have similarly unscientific ways to account for no-shows. For the full study, click here. Authors Patrick R. Cronin, MA, and Alexa Boer Kimball, MD, MPH, of the Practice Improvement Division at Massachusetts General Hospital (MGH) and Mass General Physicians Organization (MGPO) sought something new. In a just-published study, they developed a predictive model to identify the chance that a patient would no-show using their age, how long they had been waiting for an appointment, insurance, and personal history of arriving at or missing appointments. Then they developed a second algorithm to create scheduling recommendations using the no-show model and customized physician preferences. Data from 54,000 appointments from the prior year were used to develop the no-show predictive model and scheduling algorithm, which was tested in a group of 14 physicians in the MGH Department of Dermatology. In a randomized controlled trial, half their sessions were booked using the algorithm and half using conventional double-booking. Physicians in both groups were surveyed after each half-day work session to determine how busy they felt. Most appointments were 15 minutes, with 30 minutes allocated for some procedures. In the study, 257 work sessions were randomized to use the algorithm, known as Smart-Booking, and 262 were randomized to the control group. More patients arrived per work session booked using the algorithm, than the conventional double-booking method, (an average of 15.7 patients compared with15.2 patients per session). Responses for how busy the physicians felt were the same in both groups. The authors wrote that these results would translate into a 3% increase per year in patient visits, or 1,300 visits per year for this dermatology department. “This study shows that even in a setting where overbooking routinely occurs, physician utilization can be increased, schedules can be smoothed to improve flow, and the negative impact of no-shows can be reduced without overburdening physicians,” the authors wrote. “More importantly, the increase in patients occurred in a department where many clinicians were already using double-booked schedules, and for certain physicians, especially those who had not maximized their booking prior to the study, the intervention resulted in substantial increases in productivity.” In an unanticipated benefit, “staff no longer had to spend time analyzing schedules and guessing where to place additional patients,” and “physicians were no longer burdened with the need to constantly examine their schedules” to overbook patients. The American Journal of Managed Care, now in its 20th year of publication, is the leading peer-reviewed journal dedicated to issues in managed care. 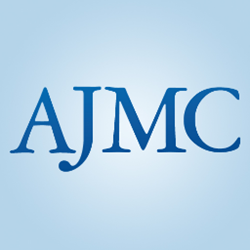 Other titles in the AJMC family of publications include The American Journal of Pharmacy Benefits, which provides pharmacy and formulary decision makers with information to improve the efficiency and health outcomes in managing pharmaceutical care. In December 2013, AJMC introduced The American Journal of Accountable Care, which publishes research and commentary devoted to understanding changes to the healthcare system due to the 2010 Affordable Care Act. AJMC’s news publications, the Evidence-Based series, bring together stakeholder views from payers, providers, policymakers and pharmaceutical leaders in the areas of oncology, diabetes management, and immunology and infectious disease. To order reprints of articles appearing in AJMC publications, please call (609) 716-7777, x 131.